First introduced to the country in 1872, Baseball is by far Japan’s most popular sporting pastime. The region has produced a wealth of talent over the years that have in turn made their way overseas and into the ranks of the MLB. Travelling to games to support your local team appears to be a right of passage for many followers of the game, and for many it serves as a family tradition for fathers to take their sons and daughters to events to share the enjoyment. 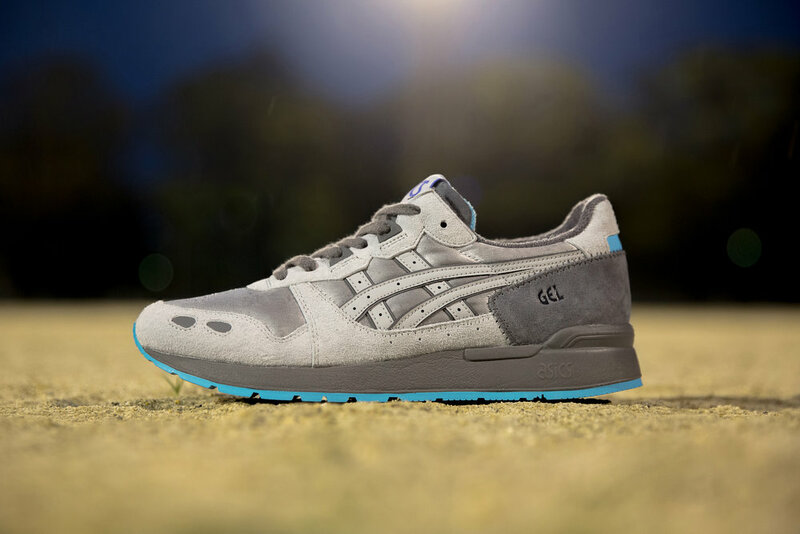 To pay homage to the passion shared by the Japanese for Baseball, they’ve come together with Asics Tiger to collaborate on one of the original innovators from the brands archive, the GEL-Lyte OG. Paying close attention to the details throughout, they’ve made use of a multitude of materials that directly reference the sport; a light grey satin serves as both the sidewall underlay and toe box, the same kind use to create the Jerseys worn out on the field. Tonal cross stitching surrounding the heel counter and sidewall give a nod to the kind found on the baseball itself, and the contrasting leather stripes on either side of the upper are close representations to that of a pitchers glove. Limited to just 500 pairs worldwide, the size? x Asics Gel-Lyte OG ‘Japanese Baseball’ will be available at selected size? Stores.